Tag Archive | "Alameda Park"
Here is an important warning about one of Quito’s best boutique hotel… the new Mansion del Angel. A recent message at this site revealed the opening of perhaps the most luxurious boutique hotel in Quito. The important warning is that the newly restored Mansion del Angel Quito boutique hotel is stunningly beautiful… but this is the new Mansion del Angel which replaces the previous boutique hotel of the same name. 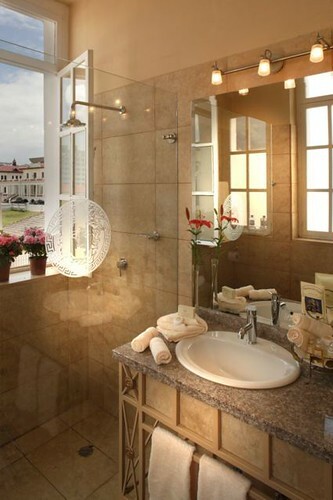 Owners Michel Duer and Jorge Espinosa, (also owners of the ultra luxury Relais & Chateaux La Mirage) decided they wanted a larger, more luxurious boutique hotel in Quito so they moved from the old Mansion del Angel in the Mariscal Sucre area. Here is an important tip… if you are going to Mansion del Angel, be sure to give taxi driver the new address… not the name of the hotel. Provide only the hotel’s address so you’ll be sure the taxi driver does not take you to the former address in error. 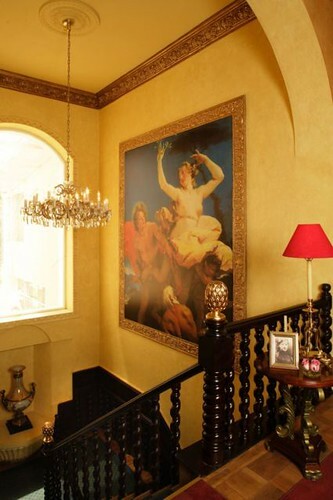 The correct address of the New Mansion del Angel: Los Rios N13-134 y Pasaje Gandara, Quito, Ecuador. This new address is near Alameda Park and is far from the previous location of their old Quito boutique hotel. Take great care in getting the address correct because online maps and many of the old reviews about Boutique Hotel Mansion del Angel currently have everything wrong. Google Map for example shows the correct placement on the map but gives the old, incorrect address. 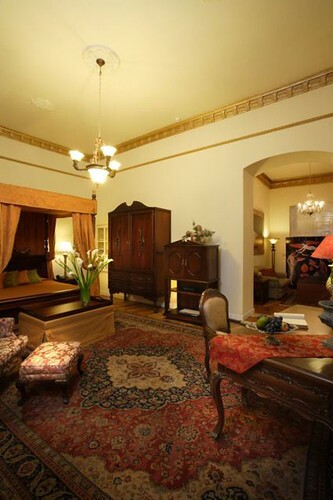 The moving of the this luxury Quito boutique hotel provides the same elegant surroundings and service but in a larger and grander building with a new address. 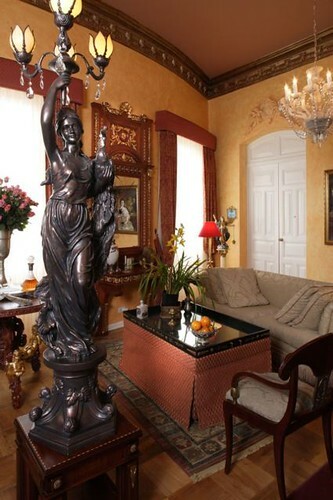 See the new Quito Boutique hotel Mansion del Angel at Quito Boutique Hotel. 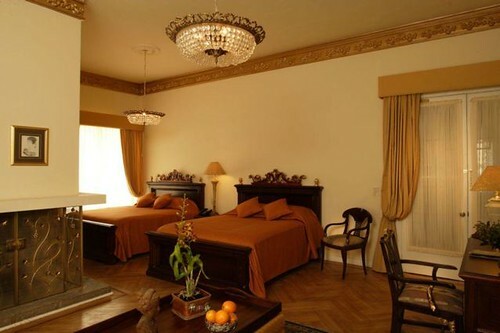 Learn how to enjoy discounts and free upgrades at hotels in Quito and throughout Ecuador at Ecuador Hotel Discounts. Join our January Ecuador tours. See the best Ecuador property for you. Find the best real estate offers. Know more of Ecuador. To help you experience a bigger adventure in this wonderful nation, to broaden your horizons, to expand your awareness of all Ecuador offers, we are providing deep discounts in 2010 for those who sign up for multiple tours. We just added four South coast Ecuador tours that can help you gain extra savings with a multi tour pack. If you plan to attend six or more seminars or tours in 2010 an International Club membership which allows you and a guest to attend as many of the 56 courses and tours we’ll sponsor and conduct in 2010 (fees would be $40,947 for all these courses individually) for only $2,999. The International club fee rises to $3,500 this month so enroll in the International Club now at the original fee of $2,999. Save $501. 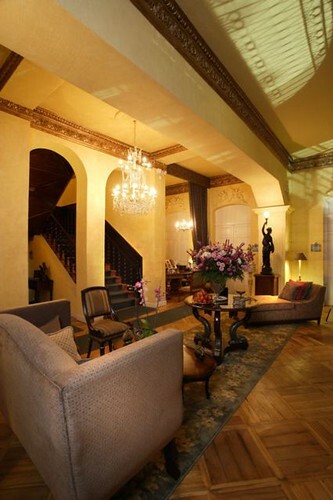 Quito’s best boutique hotel is the new Mansion del Angel. 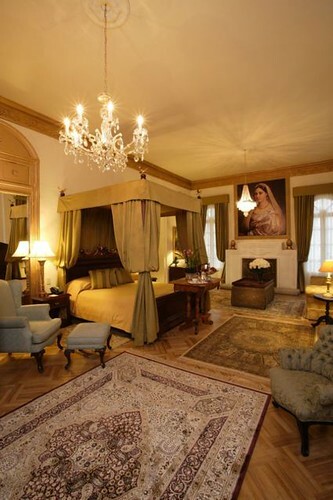 Your dreams of living like royalty in the New Year can now be fulfilled..even on a budget! We announce with great pleasure the renovation and opening of our best friends, Michel Duer and Jorge Espinosa’s historic property…see below! 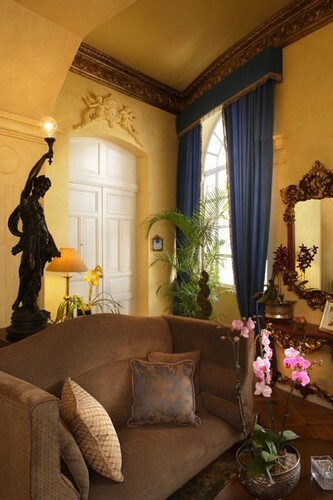 The newly restored Mansion del Angel Quito boutique hotel is stunningly beautiful. Michel Duer and Jorge Espinosa, owners of the Relais & Chateaux La Mirage have just completed the renovation and offer to our readers an unbelievable price for this luxury hotel. La Mirage Garden Hotel & Spa we reviewed yesterday. 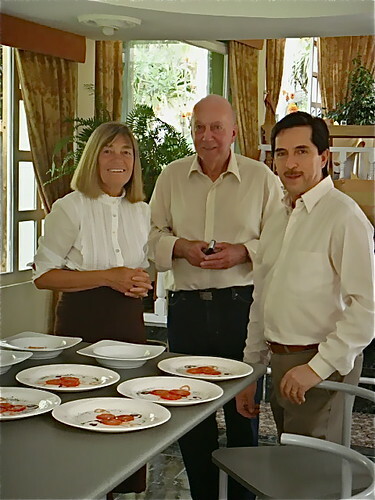 Merri with Michel Duer & Jorge Espinosa at La Mirage. pampered but also at home in their own mansion. There are special benefits for Ecuador Living subscribers… a highly discounted rate with much more savings than those we have been able to arrange at other five star Quito hotels. 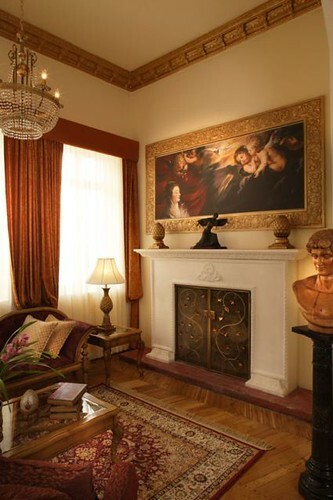 If you are an Ecuador Living subscriber, I’ll explain in a moment how to to enjoy a stay at Quito’s Mansion de Angel at special member rates that our friends have kindly given us for you. First, more on this hotel. Here is a note that Michel and Jorge sent to me. 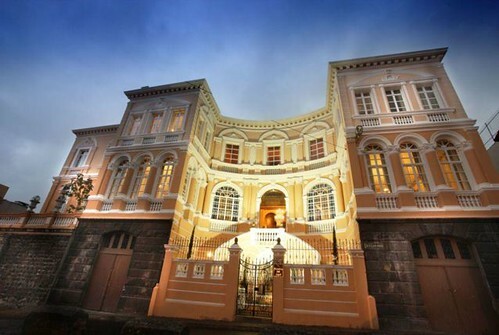 An old Mansion built at the turn of the last Century has been completely restored in order to achieve the former splendor of the Ecuadorian Republican Era. 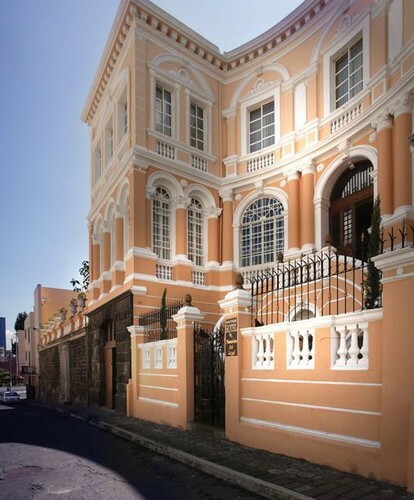 The Mansion used to be the home of an Ecuadorian Tobacco Tycoon, who entertained his guests and buyers lavishly in the large spaces on the Ground Floor, while he and his family utilized the First Floor as their private residence. The property is part of the architectural historic Society of the downtown area of the Capital according to the World Heritage Foundation, which considered Quito to be the first city of the organization according to UNESCO. The Mansion as well as the entire surrounding neighborhood was designed by an Italian architect, who was influenced by the architectural style of his native country. Many homes and private houses in this particular area show the splendor and the excellent craftsmanship of this bygone era. 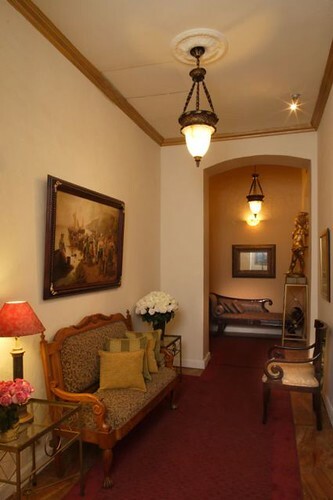 Boutique Hotel Mansion del Angel overlooks the well known Alameda Park and when passing through the park, the Historical Part of Downtown Quito may be reached within 10 minutes. The park is also the home of the first Astronomic Observatory. A very detailed restoration took place and only the finest building materials were used in order to comply with the Patrimony. 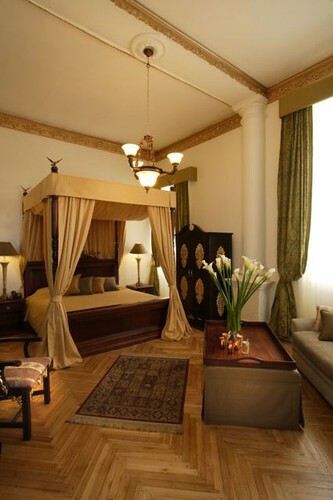 The building itself houses fifteen large, spacious and luxurious rooms and suites. No two are alike, each one different in size, color scheme and decoration. 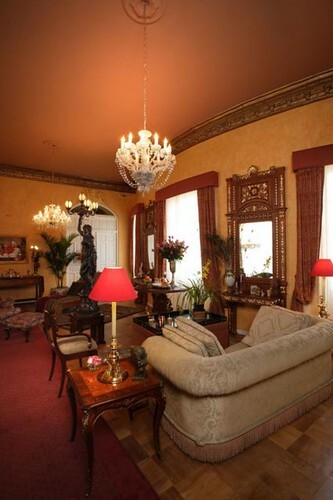 In addition to an inviting Reception Area, a beautiful and comfortable Salon for relaxation is available, where complimentary Afternoon Tea is served. Guests may enjoy Breakfast on the Ground Floor, even those who must depart in the very early morning hours. A lovely inviting garden awaits our guests for outdoor relaxation and drinks prior to sunset. We sincerely hope you will enjoy this jewel when your travel plans bring you to Quito and Ecuador. 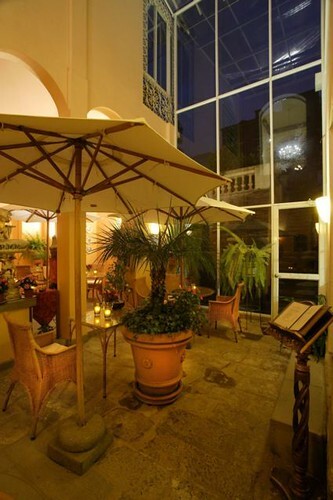 Now let me explain how you can enjoy this Quito boutique hotel at a real savings. Yeserday’s message looked at three reasons why you can enjoy special benefits at Michel and Jorge’s other luxury hotel La Mirage in Cotacachi and gain other special hotel upgrades as an Ecuador Living subscriber. First, we own an Ecuador hotel. Hotels work together and offer special referrals to help one another. Second, for the past 15 years, Merri and I have watched La Mirage become one of the most sacred and exquisite hotel spas we have ever experienced. It is a vital part of our life in Ecuador. We have remained good friends with the owners over these years, and we are in love with the wonderful service they perform. Third, we have one of, if not, the largest, Ecuador oriented websites that reaches over 18,000 (and growing) readers every day. We provide La Mirage with a lot of advertising. We do not ask for a cent for it… nor do we accept any commissions when we book rooms. We simply ask that the hotel does something special for the subscribers who support us. So when you subscribe to Ecuador Living you gain extra benefits at La Mirage and Mansion del Angel. 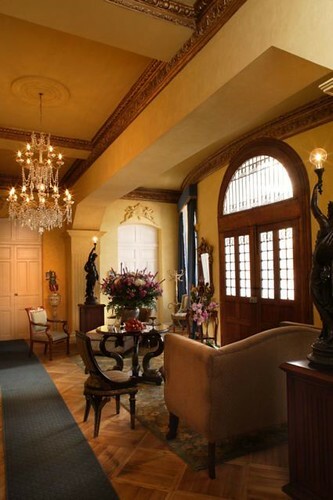 Rates at Mansion del Angel including all tax and breakfast start at $140 a night and rise from there. This is in keeping with other five star facilities in Quito where rooms and breakfast cost usually start around $130 to $150 a night once the 22% tax and breakfast are included. 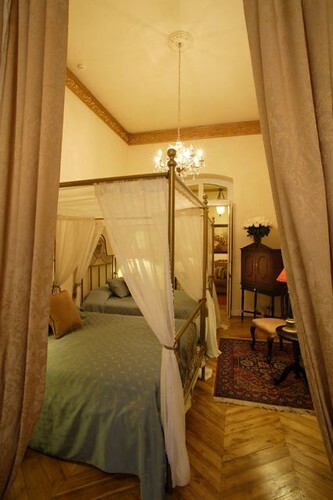 Mansion del Angel’s special rate for our subscribers is a great discount! Mansion del Angel provides such a whopping discount to our tour delegates and Ecuador Living subscribers that I am not allowed to post this on the internet. If you are an Ecuador Living send an email to Bonnie Keogh at the Ecuador Living hotline. If you are not an Ecuador Living subscriber, learn how to subscribe here. Suffice it to say that the savings for just a few nights stay is more than the Ecuador Living subscription. Yet there is more. 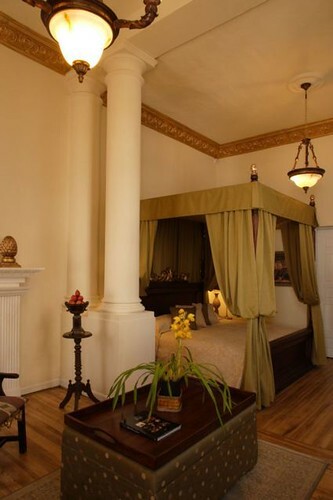 When we book your room at Mansion del Angel, if you are an Ecuador Living subscriber and space is available you’ll be upgraded (at no additional cost) to rooms and suites where the rates are $275 a night and more. Visit Quito and join our upcoming Ecuador export tour delegates who can stay at Mansion del Angel for the Quito portion of our Ecuador Export Tour and our Quito & Mindo real estate tour can enjoy wonderful rates surrounded with total beauty, care and graciousness! Join us at many seminars and tours in Ecuador, Florida or North Carolina… in 2010. See details about each of our seminar and tours below… then see our December special that allows you to attend them all FREE. Join us all year long… seminars and tours in North Carolina Florida and Ecuador. Gain discounts by attending multiple seminars tours. These extra tours create a dilemma for me. See how below. These four new south coast tours and our six pack tour price create a bit of a crisis here. As you can see above a six pack costs $3,099. This is already a really low price for a tour that last up to 21 days (under $150 a day). But as you will see below, our International Club membership which allows you and a guest to attend up to 56 courses and tours in 2010 (fees would be $40,947 for all these courses individually) is only $2,999. Which would you choose… 6 courses and tours for $3,099 or those same 6 courses and tours plus 50 more for $2,999? “Duh,” I said when this was pointed out to me. So our only solution is to raise the International Club membership to $3,500… still a terrific deal… but $501 more than before. Save $37,457…plus $501. I will not raise the International club fee until January 2010. Enroll in the International Club now at the original fee of $2,999.